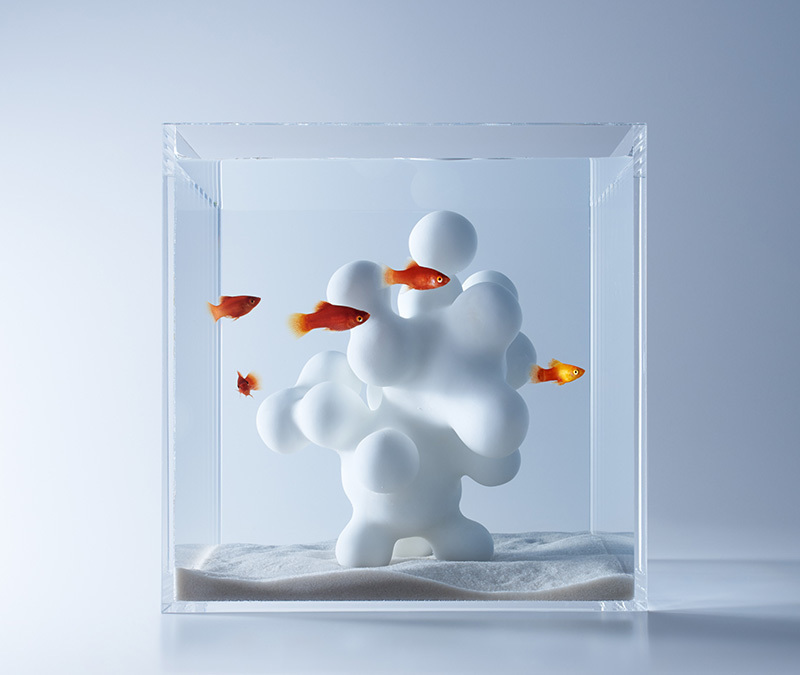 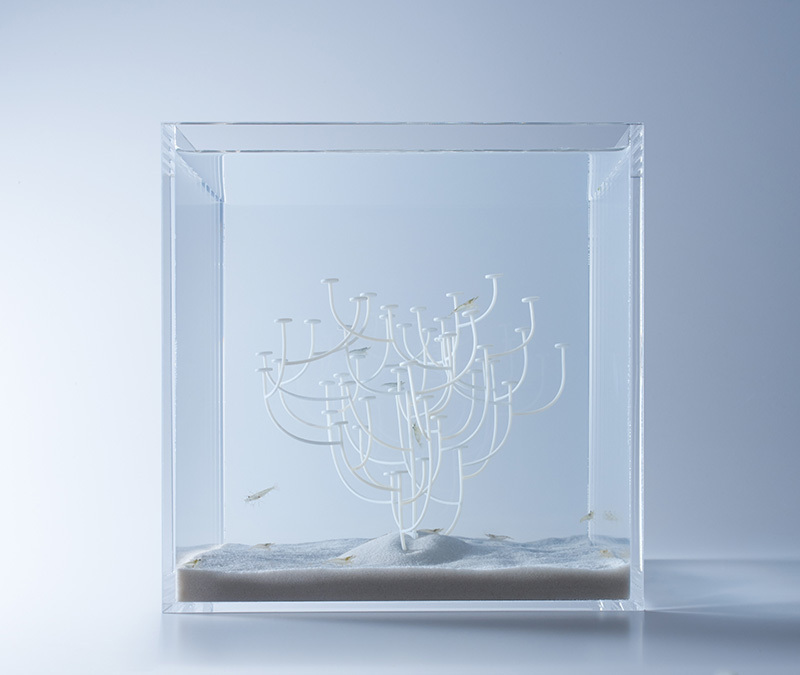 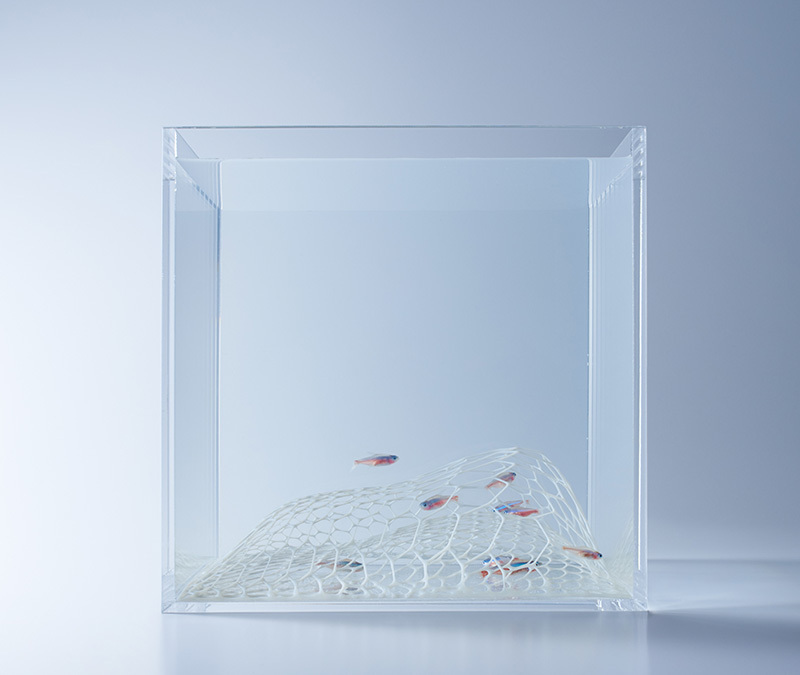 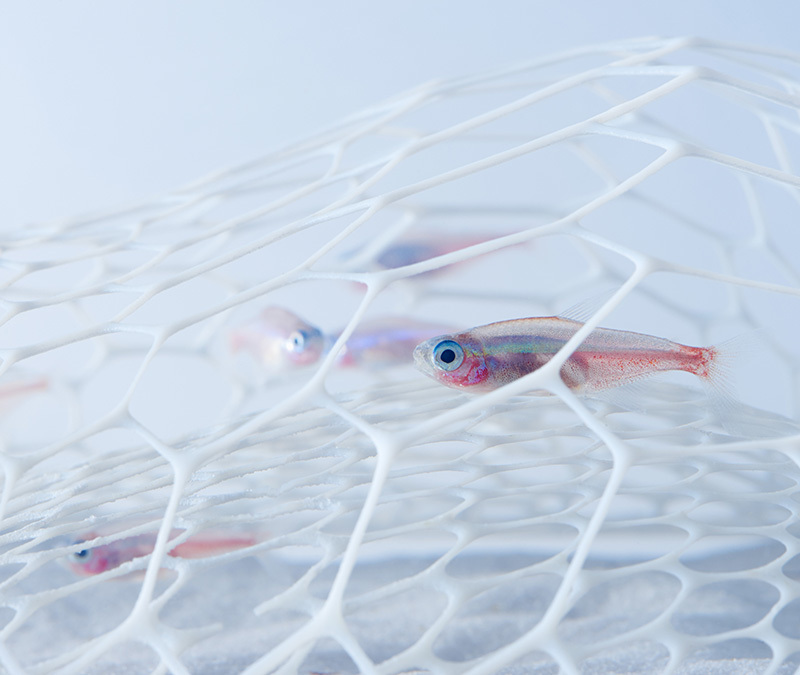 Designer and founder of Misawa Design Institute, Haruka Misawa, has designed a series of minimal aquariums titled “Waterscapes” that include 3D printed objects inspired by undersea plant life. 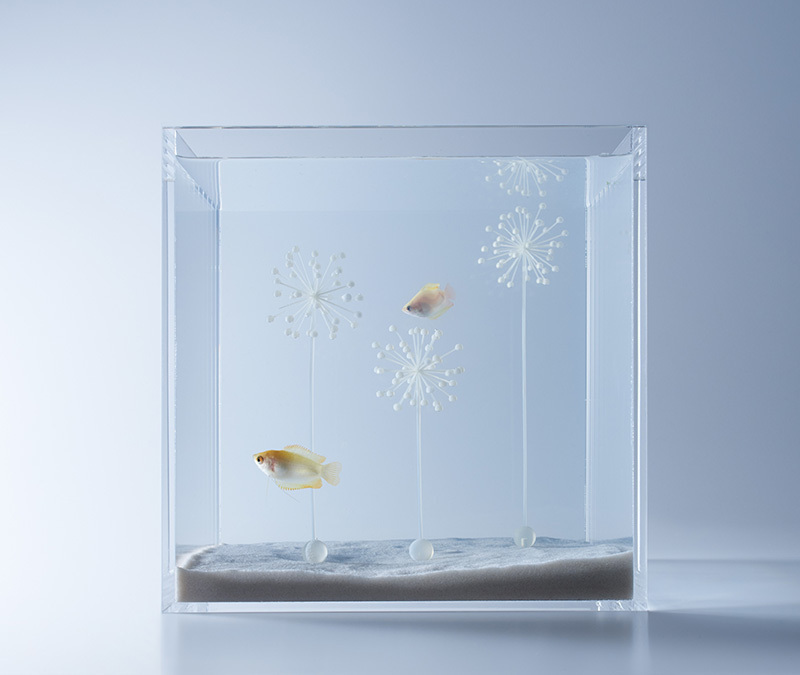 These works mimic coral and other aquatic flora that small fish use as hiding places, yet are all manufactured digitally. 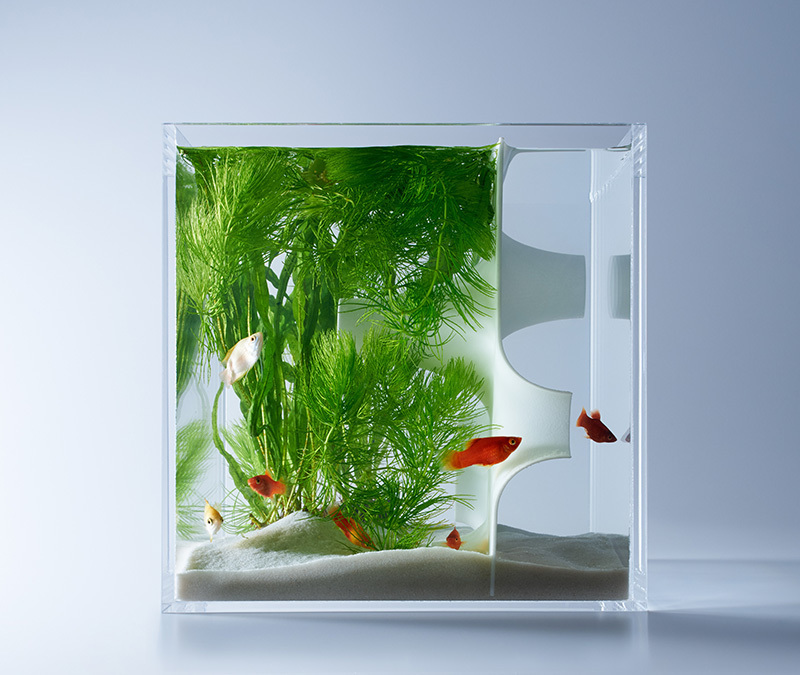 The objects are ones that would normal topple or crumble because of their own weight, yet because of their underwater location are able to exist as buoyant additions to the aesthetically pleasing fish homes. 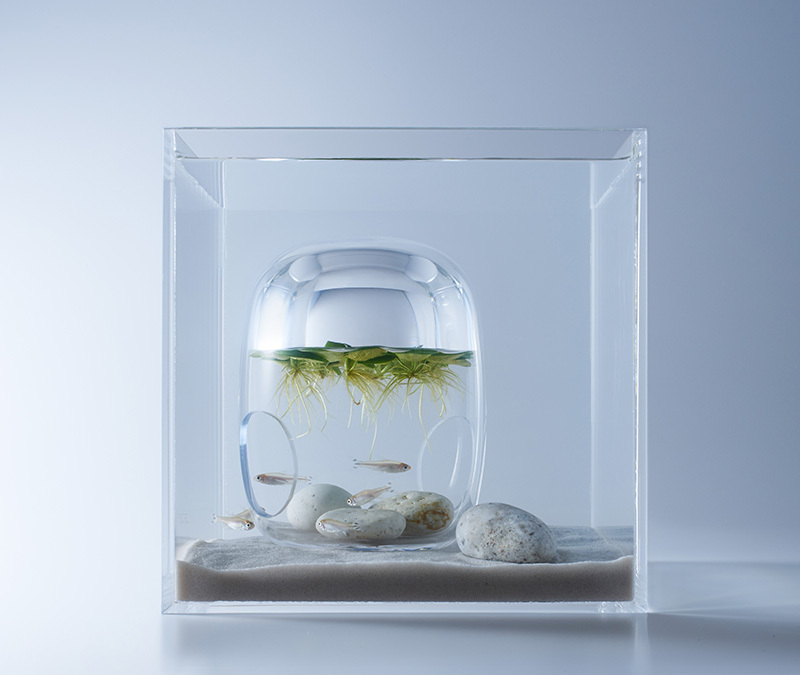 Within the series Misawa has also designed bubbles of air within the aquariums that allow plants to thrive at the center of her creations. 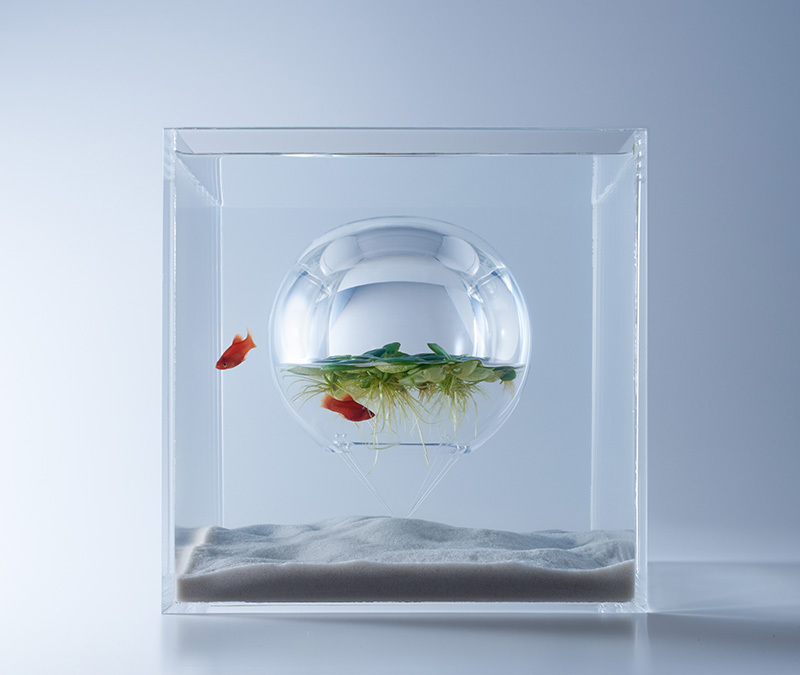 These meta environments appear like miniature fish bowls within larger aquariums, with plants floating at the top of the inner enclosures. 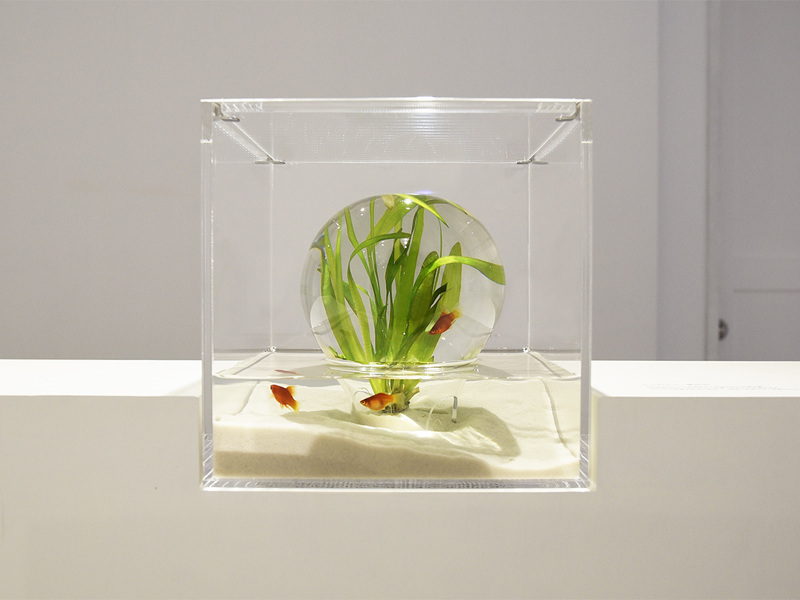 These works were displayed recently in Taiwan in an exhibition titled “Waterscape”. 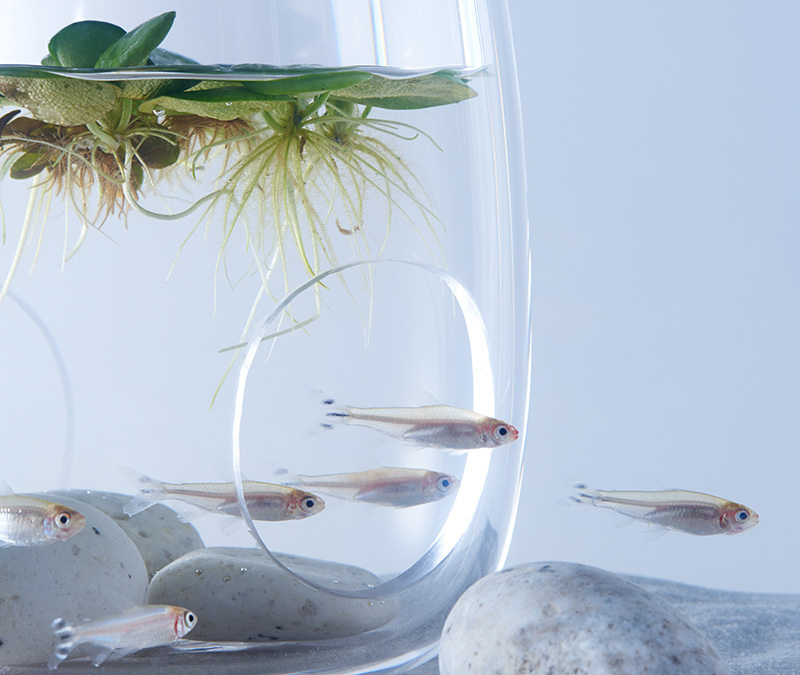 And you can always check the list of 10 Worlds Most Expensive Fish.